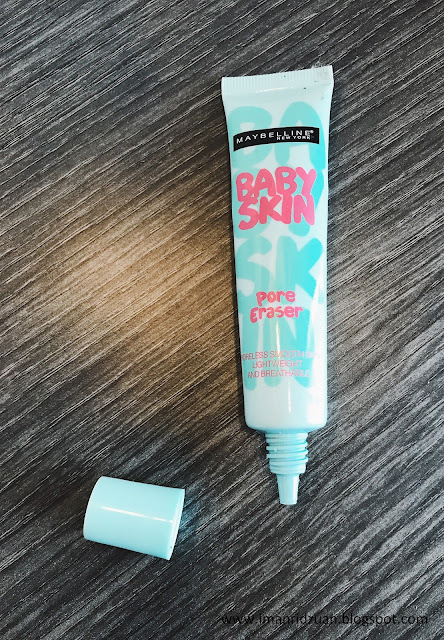 The Maybelline Pore Eraser primer is said to be a dupe for the famous Benefit Porefessional Primer. Now I don't own or ever used the Porefessional Primer, so I can't give you a comparison review. So today, we'll only talk about Maybelline's. 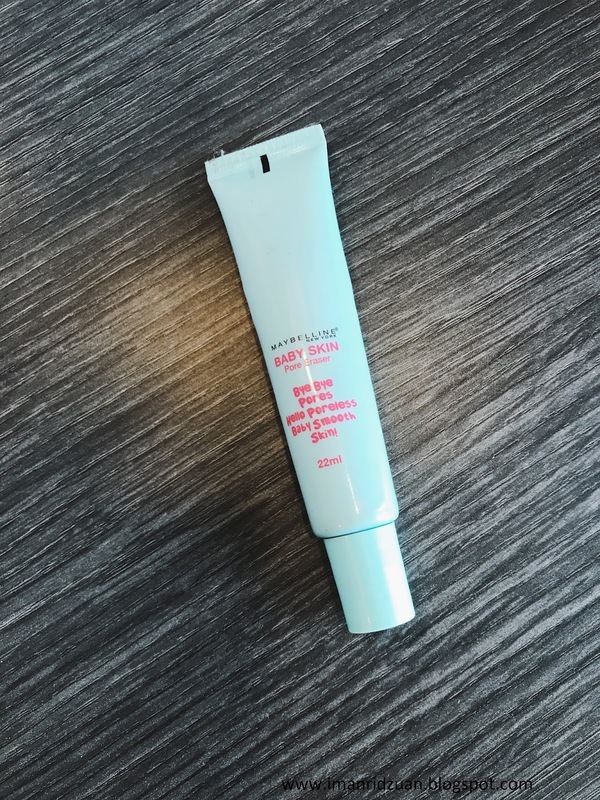 I have a few primers in my collection that I like, and this one is one of it and is actually the first primer that I own. It comes in a tube packaging, so you just squeeze the product out, very self explanatory. 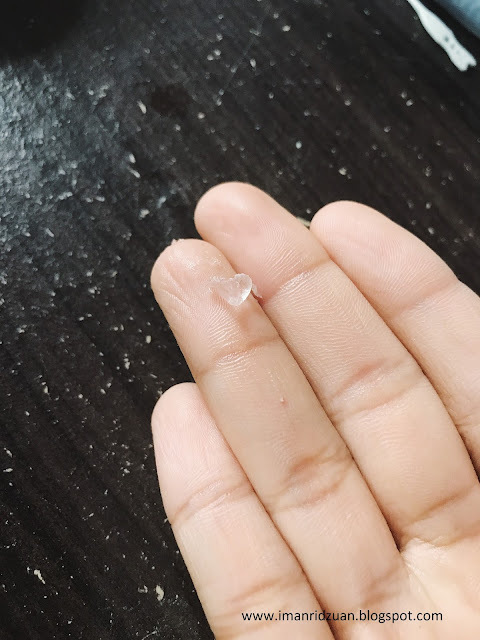 The product comes out as a thick clear gel. Texture wise is not my favourite, it is very siliconey, greasy type consistency of a primer, but once you rub it into your skin, it will be absorbed completely without any oil feeling. I use this primer specifically for the areas where I have enlarged pores like my nose. It does a wonderful job for that. Just like the name, yeah it almost completely erase the pores. Not completely erase them lah, more like a blur effect. I don't see this primer helps my makeup to last any longer though, it's just great to blur out the pores so that you'll get a smooth foundation application, but other than that, it's nothing crazy. 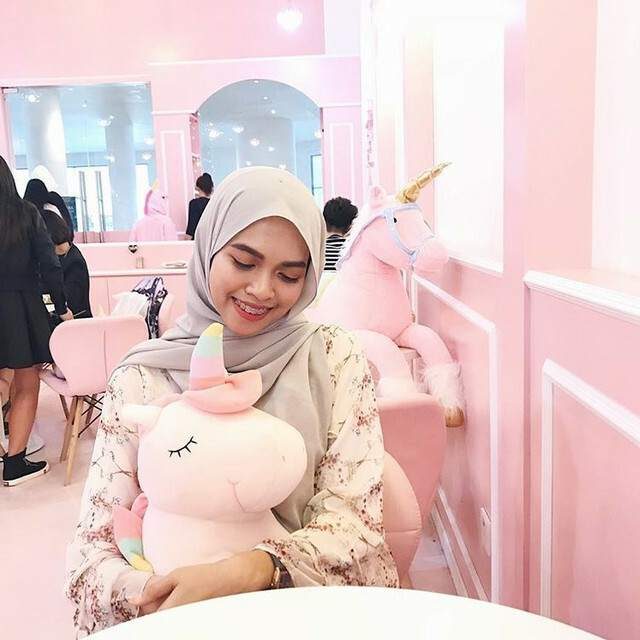 But I do have oily skin especially around the nose area so take that as a consideration if you have dry to normal skin, this might help to make your makeup last longer. For the price you pay, I think it is worth trying. I use it from time to time, but I'd prefer my Catrice prime and fine primer a lot more in terms of the consistency and how hydrating it feels on my skin for a drugstore primer. Comment below if you have any drugstore primers that you love!